British Columbia has been safely mining and transporting coal for more than 100 years. Click on the faces below and learn more about the industry from the British Columbians who make up our province’s coal sector. More personal stories will continue to be added, featuring others along the supply chain. Mary Giuliano, Mayor of Fernie, speaks about the benefits of the coal industry in her community. Cal McDougall, Mayor of Sparwood, speaks about the benefits of the coal industry in his community. Patty Vadnais, Executive Director, Fernie Chamber of Commerce, speaks about the importance of the coal industry to the local economy. Norma McDougall, Manager of Sparwood Chamber of Commerce, speaks about the importance of the coal industry to the local economy and community. Jon Levesque, Proprietor of the Gearhub store in Fernie, talks about the importance of coal mining for families and small businesses in the local community. Thomas Finnbogason, Partner & Director, Envirochem Services Inc speaks about the work his company does helping coal terminals ensure that they are meeting or exceeding environmental standards. Technical Sales Representative at Motion Industries, speaks about the opportunities for companies providing services to the coal industry. Project Manager at Brymark Installations, speaks about the work his company undertakes at shipping terminals, supporting the coal industry. Automation Manager at enCompass Solutions Group, talks about his company's work installing automated systems in the coal industry. Retired ILWU member Spike Contini looks back on his career working with coal in British Columbia. Operator & Safety Rep. with USW has worked in the coal industry for 7 ½ years. Hear him speak about his experience. Councillor and former Mayor of Sparwood, speaks about the benefits of the coal industry for her community. Project Coordinator at Brymark Installations, talks about the work his company does installing dust suppression systems at Westshore Terminals. Retired ILWU Member, reflects on his career in the coal industry and the opportunities that the sector provides. Member of International Longshore & Warehouse Union Canada, and electrician at Westshore Terminals, speaks about his 30 year career in the coal industry. President at Neptune Terminals, speaks about the community involvement initiatives at Neptune Terminals. Apprentice Electrician with USW, speaks about her 15 year career in the coal industry. The benefits of BC's coal industry. Manager of Engineering and Environmental Services at Westshore Terminals, speaks about dust control initiatives introduced at Westshore Terminals to make it a safe working environment. First Vice President, International Longshore & Warehouse Union Canada, speaks about heath and safety in the coal industry. Heavy Duty Mechanic with USW, has worked in the coal industry for 6 years. Hear him speak about what it is like working with coal. Member of International Longshore & Warehouse Union Canada, and buyer at Westshore Terminals, speaks about her 32 year career in the coal industry. Former Vice President & General Manager at Westshore Terminals, speaks about safety initiatives at Westshore Terminals and benefits of the coal industry. First Vice President, International Longshore & Warehouse Union Canada, speaks about benefits of working in the coal industry. Foreman at Teck, has been working in the coal industry for 13 years. Hear him speak about what products come from coal. President, International Longshore & Warehouse Union Canada, speaks about the benefits of working in the coal industry. General Foreman at Teck, speaks about his experience working in the coal industry. Third Vice President, International Longshore & Warehouse Union Canada, speaks about safety in the coal industry. Member of International Longshore & Warehouse Union Canada, and bulk operator at Neptune Terminals speaks about his 40 year career in the coal industry at Neptune Terminals. Business Manager of International Union of Operating Engineers Local 115, speaks about the health and safety of in the coal industry. Light Vehicle Mechanic with USW has worked in the coal industry for 4 years. Hear him speak about his experience. Retired member of International Longshore & Warehouse Union Canada, and former employee at Westshore Terminals for 18 years, speaks about the benefits of working in the coal industry. Member of International Longshore & Warehouse Union Canada, and labourer at Neptune Terminals speaks about the benefits of working in the coal industry. Safety in BC's coal industry. Member of International Longshore & Warehouse Union Canada, speaks about his 35 year career in the coal industry at Westshore Terminals. Executive Director of BC Building Trades, speaks about the benefits of in the coal industry. Welder with USW has worked in the coal industry for 25 years. President, International Longshore & Warehouse Union Canada, speaks about health and safety in the coal industry. Haul Truck Operator with USW speaks about working in the coal industry. District Director, United Steelworkers, discusses the commitment to health and safety in the coal mining industry. Warehouse Apprentice with USW has worked in the coal industry for 7 years. Hear her speak about her experience. B.C.’s coal industry creates over 26,000 well paying jobs in mining, transportation, equipment and many other sectors. We also proudly support thousands of small and medium sized businesses in communities across the province. The B.C. coal industry brings a commitment to operate safely and responsibly from mine to marine terminal. The results of this commitment is that our workers and the communities where we live and work are safe. Coal is an inert mineral and has been safely handled by thousands of workers at mine sites, by rail employees along the rail lines and in Port Metro Vancouver for more than 45 years. There is no evidence of health impacts from the mining, transportation or shipping of coal in British Columbia.  British Columbians support responsible resource development.